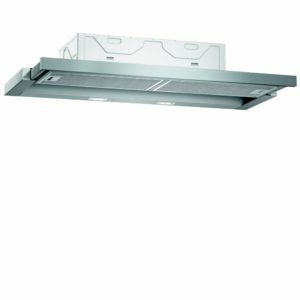 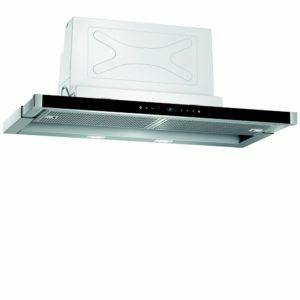 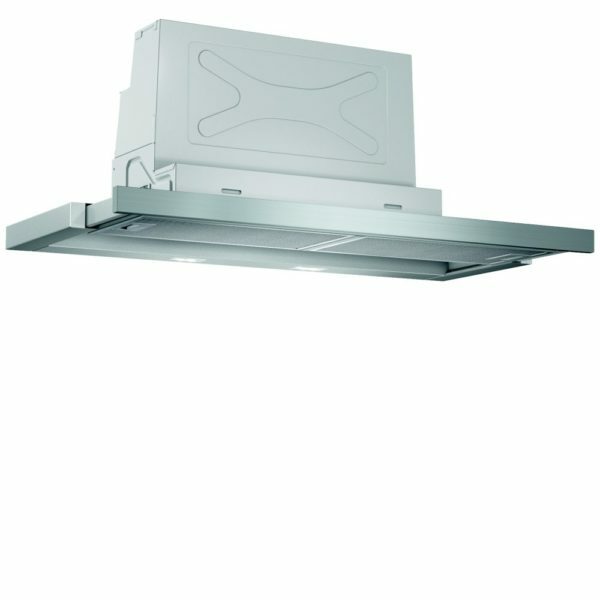 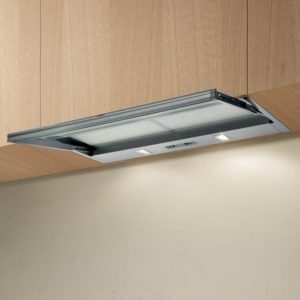 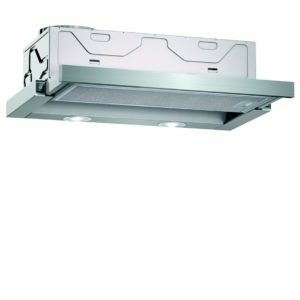 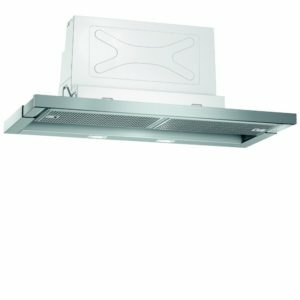 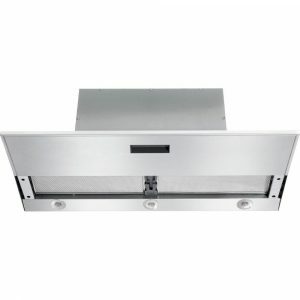 This 90cm wide telescopic hood is perfect for smaller kitchens, as it can be slid away until needed. 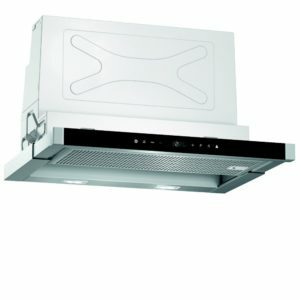 Not short on power, with an extraction rate of 420m³ per hour, you can easily cook up all your favourites while the DFS097A50B draws out all the cooking steam and aromas. 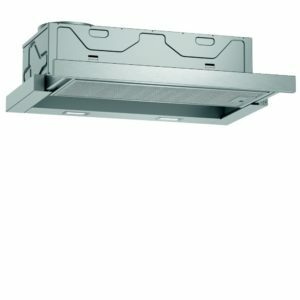 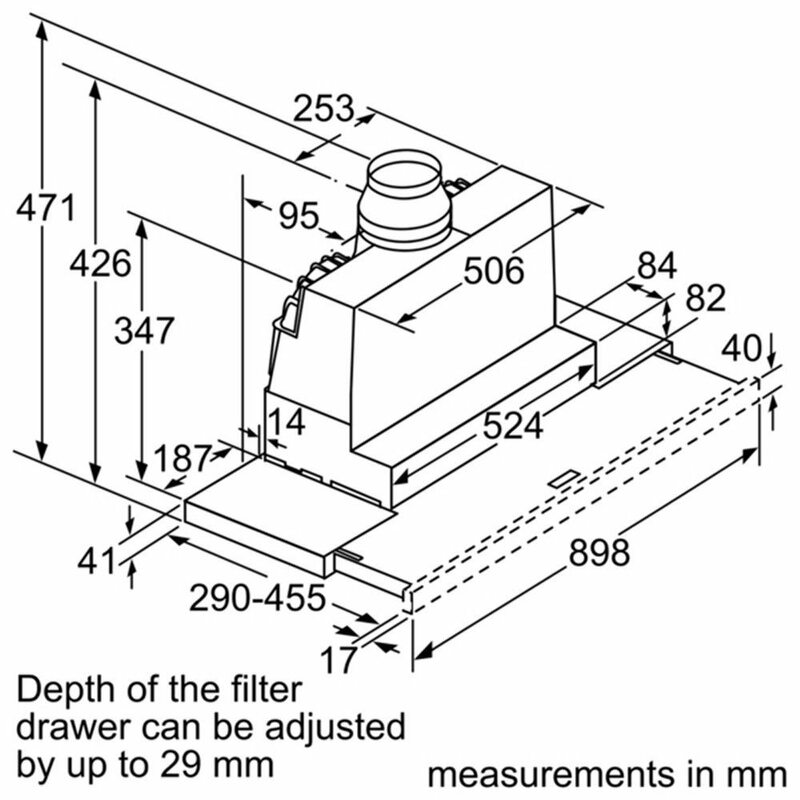 Designed to be installed with external ducting, this model can also be fitted with a recirculation kit for alternate installation.